It’s been a while since I have made a normal dinner. It seems I have been having bigger lunches and by the time dinner comes, I’m not hungry. My poor Husband! He’s been eating cheese & crackers or Subway for dinner. So this past weekend, I decided to my a nice whole some pasta dish that is simply perfect to make for a weeknight meal. 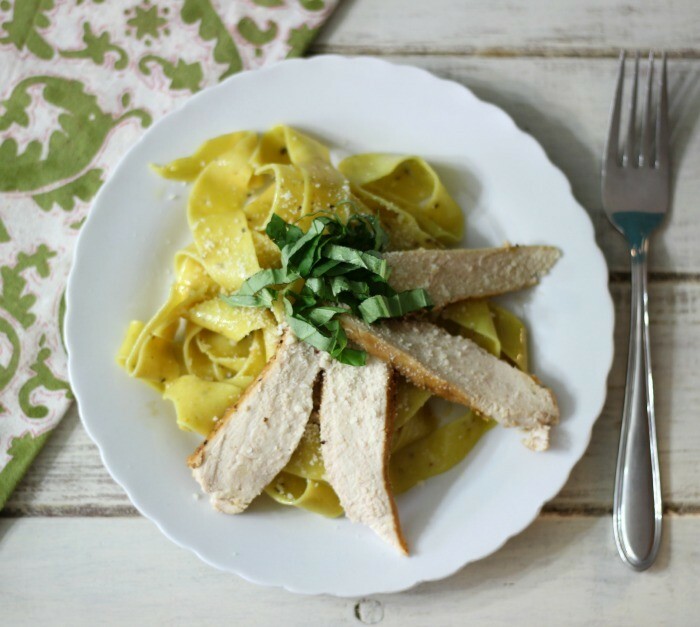 It’s my Pappardelle Pasta with Lemon Chicken. It is so good and so easy. Lots of flavor and not a lot of ingredients. I got the idea for this dish when I was shopping at Trader Joe’s. 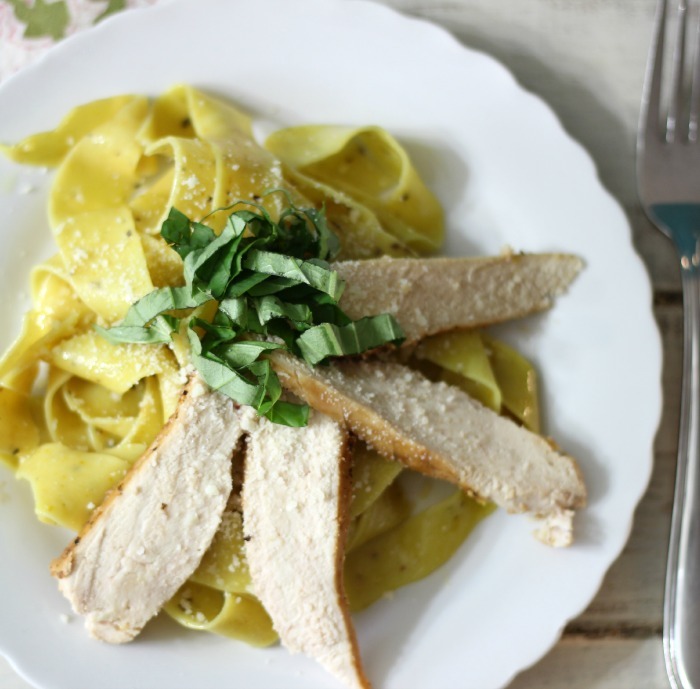 They had Lemon flavored Pappardelle pasta and I thought ohhhh, this would be so good with a little bit of chicken, basil and Parmesan cheese. I ran back to the produce aisle to pick up my basil and cheese. I couldn’t wait to make this recipe. It’s very light, yet filling. 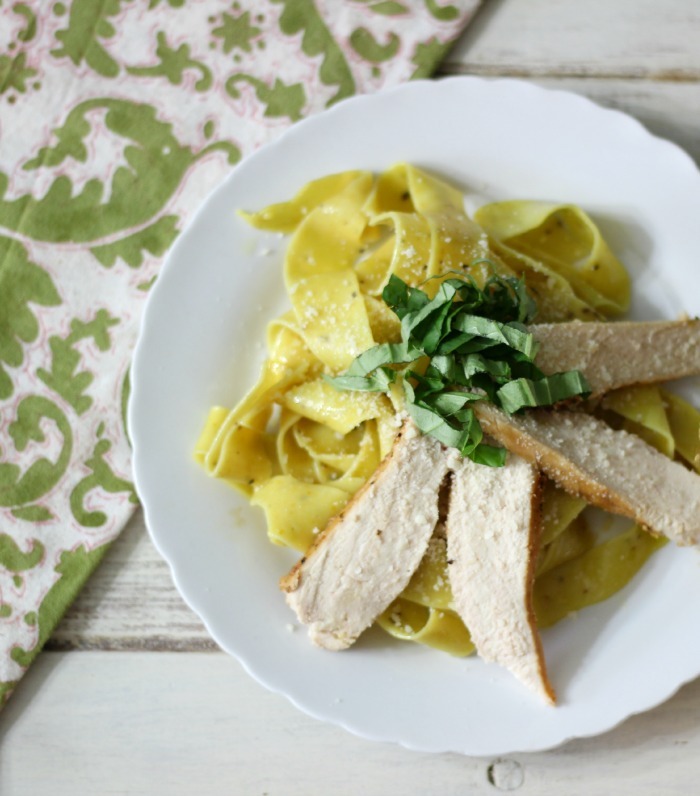 The chicken has a wonderful lemon flavor and with the addition of the basil, it adds a nice savory, peppery flavor. I had to add the cheese to it to kick the flavors up a notch. 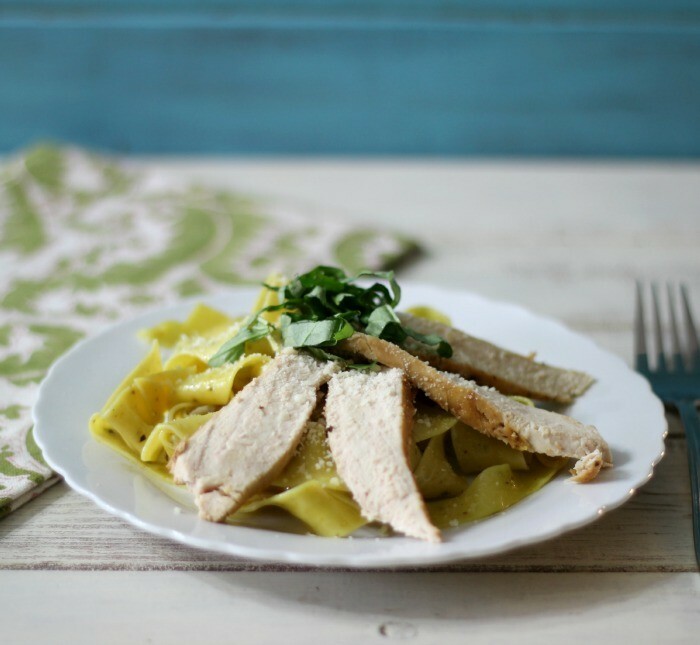 If you’re a fan of lemon chicken, this is the dish for you. When I was cooking the pasta, I started to work on the chicken. I just cooked it in a pan with some olive oil, added lemon juice and lemon zest. Within 10 minutes it was done and so was the pasta. I added some olive oil to the pasta, than I topped it with the chicken, cheese and basil. It’s elegant looking to me and I think restaurant quality. 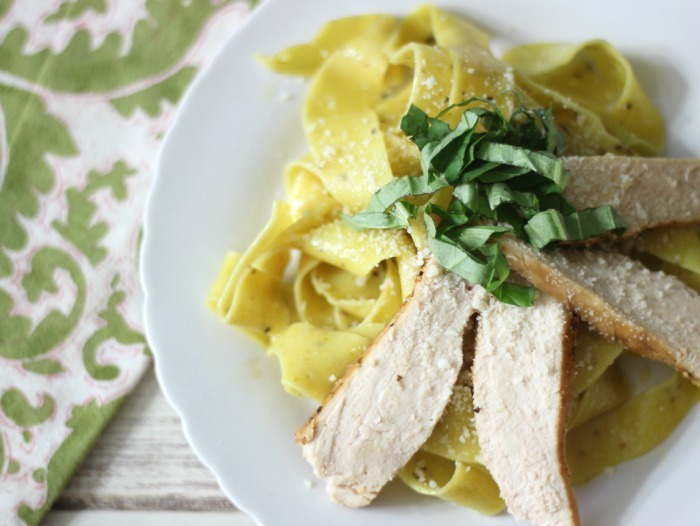 A light, healthy pasta dish made with papparedelle pasta, topped with lemon flavored chicken, fresh basil and Parmesan cheese. Cook Pasta according to package. Once the pasta is done, drain the water and carefully mix with ½ tablespoon olive oil. Meanwhile, in a large skillet; add 1 tablespoon olive oil and chicken. Sprinkle chicken with salt and pepper Cook until lightly golden on one side, flip, cook until lightly golden on the other side; about 5-6 minutes per side. (Note: you can also cut the chicken in chunks and cook it or serve it on the plate whole. I cooked it whole and than sliced it). Add the lemon juice and lemon zest and let it cook for about 2 minutes more. Divide pasta between 4 plates. Evenly add the chicken between each plate. Top each plate with a teaspoon of Parmesan Cheese and sprinkle with basil. I used lemon flavored pasta and added lemon flavored olive oil, but it is not necessary in this dish. The flavor of the lemon, basil and cheese together is wonderful. Next time you’re looking for a different kind of pasta dish, give this one a try. It’s easy to make, lots of flavor and sure to please the family. A little bit goes a long way in this dish.